SACRAMENTO, Calif. - March 24, 2019 - PRLog -- April Fool's Day comes with the common tradition of jokes and pranks. It is common to make a fool out of each other. 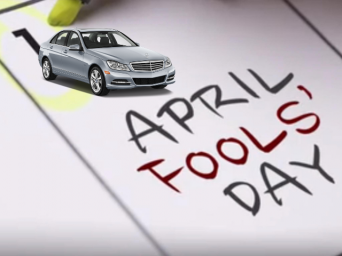 But when it comes to car buying, you should make sure you do not get fooled on April Fool's Day. The mistakes you make while you buy your car can cause you to pay for it in the long run. Therefore, it is important that you stay aware of the possible traps and take precautionary steps to avoid car buying disasters. Precautionary Measure: The actual amount of your car and the total cost of owning the vehicle depends not only on your negotiation skills but also on your financing knowledge and prowess. Do not wait to think about car financing until you enter the dealership lot. Shop around various banks and browse online auto financing (https://www.cardestination.com/) companies. Gain knowledge on the current value of the interest rates and the price of the car. The best option is to get a pre-approved auto loan that will secure your financing and help you make a faster car buying decision. When you set out to purchase your car, always be aware of the deal offered to you. Every car has certain unnecessary extras and you could end up saving up to $200 by eliminating such charges. Also, make sure you research the correct value of your current car, in case you are willing to trade it in for a new one. All in all, if you are focused while negotiating and understand how car financing works, you will not be fooled by the dealer's tactics. How to Correctly Map the Auto Financing Path for Success? How to analyze APR and ensure a Responsible Spending on your Next Car? How to Negotiate & Close a Deal for buying your Next Car? What Steps can you take to Build Credit Score as a Young Individual?